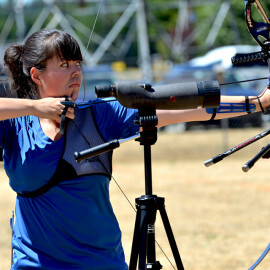 I began shooting competitive archery in 2005. Before then I was an avid hunter from a young age. 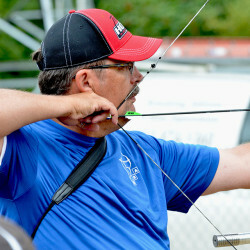 I started coaching for NSA in 2008 in their JOAD programs. Now, currently I am the head compound coach for the Travel Team. I would say that one of my biggest accomplishments in this sport was helping expand the Travel Team from 24 to 70 archers overall. My goals are to help work towards having our team compete actively in the national and international arenas, as well as having fun and enjoying competing in these scenes. 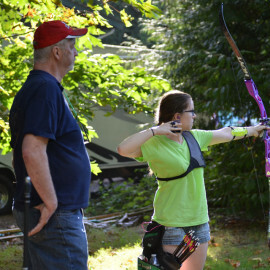 I enjoy hunting and camping with my daughter. 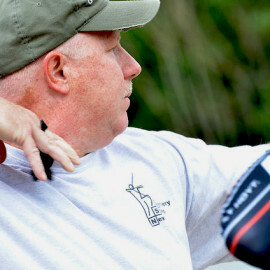 I like playing golf, fly fishing and being in the outdoors. I served in the military for 12 years. My favorite past time is spending time with my family.